An experienced road cyclist, David Robinson, was riding at the front of a group of 12 riders on the A701 heading north. As the pursuer approached the small bridge, he noticed grit at the base of the left-hand wall of the bridge. The pursuer moved to his right in order to allow the cyclist next to him more room as they crossed the bridge. Suddenly, the pursuer’s bike was “ripped out of his hands” due to his front tyre coming into contact with a metal expansion joint on the bridge. He was catapulted over the handlebars with a great deal of force and injured. 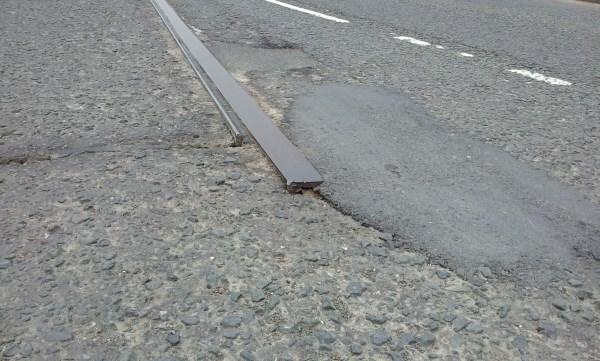 In the decision handed down by Lady Wolffe, she found for Mr Robinson and agreed with Cycle Law Scotland’s averment that the metal strip did, in fact, constitute a hazard, and that the hazard would have been apparent to a roads authority inspector of ordinary competence using reasonable care.